Each ingredient in a meal is a portion of the self. Debrianna Mansini’s The Meatball Chronicles, a culinary journey, follows one woman through humorous and sometimes heart wrenching meals that align with stories of her childhood, her relationships with men, and in particular, her complicated relationship to her mother. Mansini crafts this piece in a way that transcends her own story into universal themes that anyone who has a family can love. 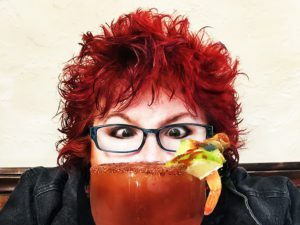 As she kneads the dough and thickens the sauce through each Italian recipe, the stories associated with those recipes reveal the complex ways that families cope, laugh, grieve, and show their love through food. 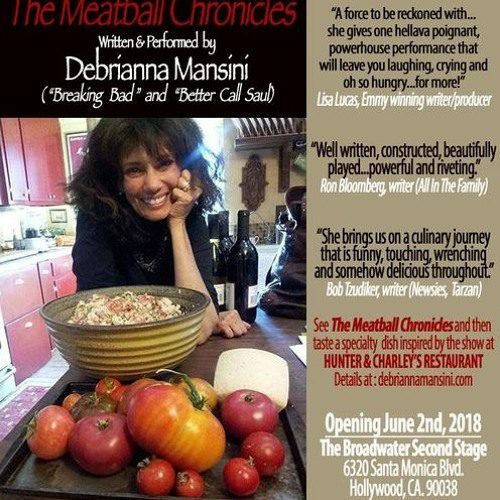 The Meatball Chronicles is an intimate solo performance by stage, film and TV actress Debrianna Mansini (Crazy Heart, Breaking Bad, and Better Call Saul). Synopsis from the website.